As a part of Waterproof's 25th anniversary collection Waterproof wanted something special - and they packed it all into their W3 3.5mm full suit. Even if all brands out there offer a 3mm suit does not mean that Waterproof followed the pack. Waterproof customers expect more than just a "normal" standard suit. Waterproof started by including all the features you have come to expect in every Waterproof product like gender specific fit and sharp Scandinavian styling. Additionally they included all of the features from our heavier lines like relief zippers in the neck, rash guards in the wrist and ankles and a 3D construc-tion sculpted to fit human movement. When your backyard is the Arctic Circle you learn that short cuts do not pay - so they deliver premium design and quality in every suit we make from the Arctic capable to the tropical. Please Note: 'Wide/Relaxed' and 'Tall' fits are not stocked in Australia. Must be special order, and turnaround is 4 to 6 weeks. It's extremely important that you read and fully understand the following about the sizing of Waterproof wetsuits before ordering one. Size really matters! Despite similarities in measurements or weight, every person's body is unique. The Waterproof size chart is a good starting point to estimate your size, but because a wetsuit should really fit like a second skin, you really need to take the time to get it absolutely right. The neoprene materials used in Waterproof wetsuits are fantastic in performance and durability. However, they are not super-stretchy the way many other suits are these days. So Waterproof have a lot more sizes in order for people to fit into their suits, rather than relying on the suit material stretching to fit you. While most wetsuit manufacturers have 4 to 6 sizes for the mens and womens suits in their range, Waterproof tend to have 10 to 20 sizes in each model for men and women. The goal is to get the wetsuit as close to possible to being like a second skin for as many divers as possible. With so many sizes, in so many models, it's extremely rare for dive shops to have everything in stock. Instead we order wetsuits in from Waterproof as required, or have Waterproof ship the wetsuit direct to you on our behalf. Please keep this in mind when ordering. 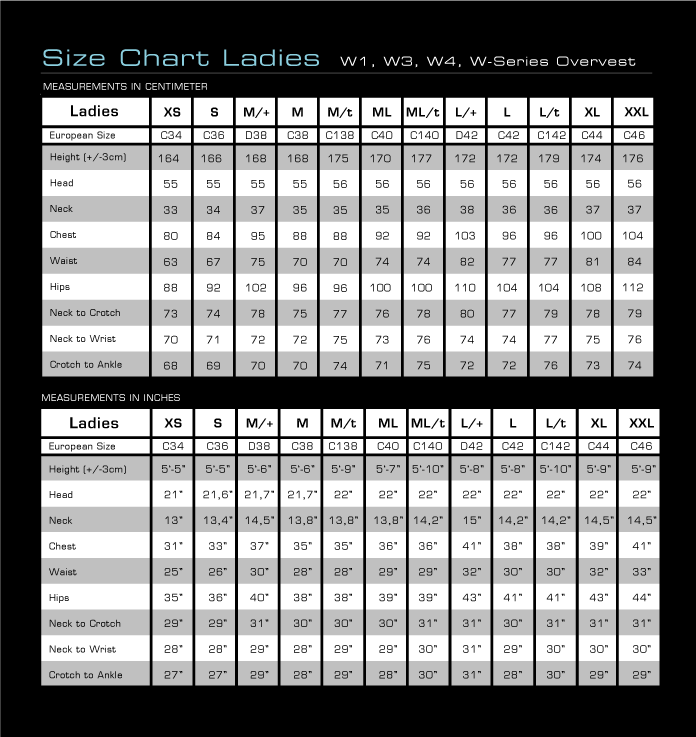 In their size charts, Waterproof provide the measurements for Height, Head, Neck, Chest, Waist, Hips, Neck to Crotch, Neck to Wrist, Crotch to Ankle, etc. 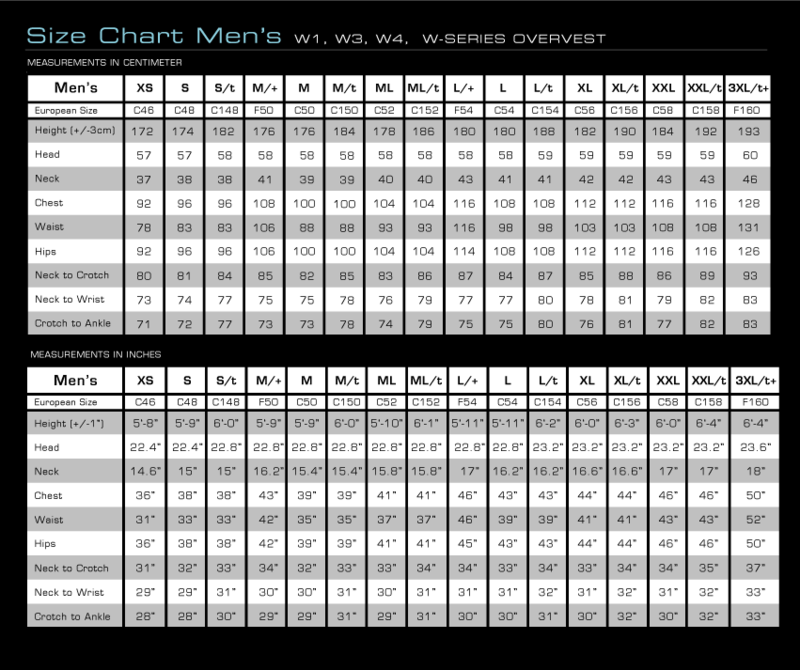 You need to take these measurements and match them with the Waterproof size charts. Each of your dimensions need to be within 1 cm of the measurements listed. 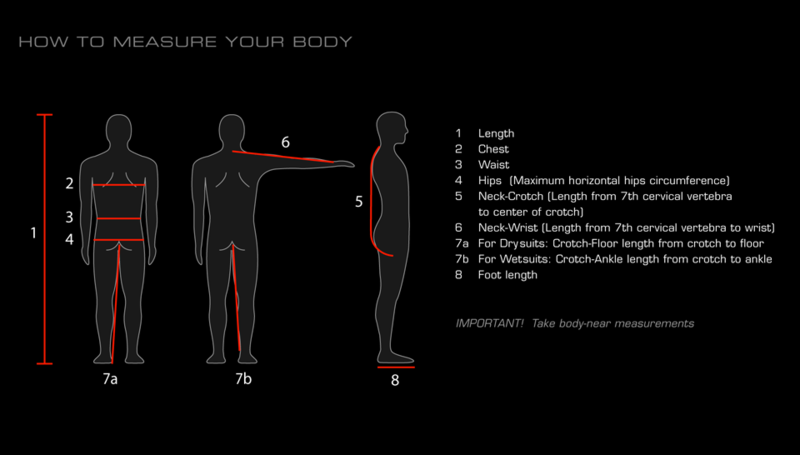 If you don't match all of these measurements for the suit size, the wetsuit won't fit you. Please don't think that just because you're a bit out in one or two of the measurements that you'll be okay and it will fit. It won't! Please Note: If you order the Waterproof suit and it doesn't fit you, you'll have to pay for posting it back to us. Plus, there will be a 10% restocking fee if you're cancelling the order. If you're switching to a different size Waterproof wetsuit, you'll have to pay for the cost of shipping the exchange suit to you. We don't like having such an unforgiving policy in place. However, time after time, people order Waterproof wetsuits, even when we've fully informed them about these sizing issues and for some reason, they think being a bit out in one or two measurements won't apply to them, and she'll be right. It almost never is! Then the two and from exchanging suits process starts to happen, which is frustrating for everyone. Again, the Waterproof wetsuits are fantastic when they fit you. But they just don't fit everybody.